High Quality Pallet Collars supplied throughout the UK. 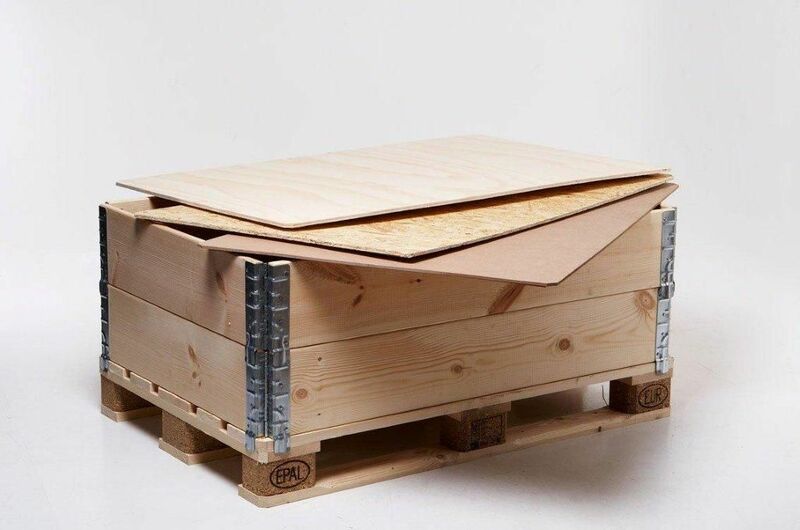 We have large holding stocks of new pallet collars at very competitive prices, all sizes available and our prompt service will ensure you receive your pallet collars on time. With our same day dispatch your collars will arrive the next day. All our collars come (IPSM15) Heat Treated, for export. Printed company logos are an option if required. We provide a range of sizes including: 1200 x 800, 1200 x 1000, 1200 x 1200, 1000 x 800 & 800 x 600. Other sizes are available. Supplied in packs of 105, but we can split into smaller quantities if required.